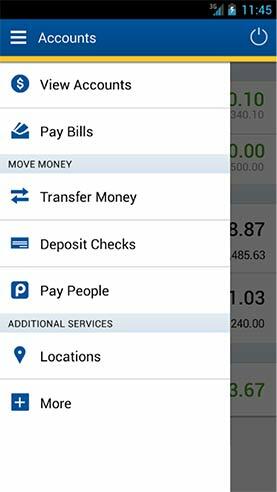 Old National makes it easy to manage your accounts, pay bills, deposit money and more. Bank from home, the office or on-the-go with the convenience of Online and Mobile Banking. Old National offers simple and convenient ways to manage your finances, including Online & Mobile Banking, eStatements, Text Banking, TouchTone Banking, Account to Account Transfers and Money Management. Deposit money how it's convenient for you. With Mobile Deposit, you can deposit a check safely and securely with your smartphone. If you are out and about, deposit at select ATMs or any of our 180+ banking centers. With Online & Mobile banking you can pay people with your phone using Popmoney, schedule to pay your bills and even earn Purchase Rewards for doing so! The safety and security of your account and your hard earned money is at the core of all we do. We are passionately committed to protecting the security and privacy of your accounts and personal information. Ready to Activate? Here's How. Log in to enjoy all of these features. Already an Old National Customer? Activate the power of Online and Mobile Banking. Not yet an Old National customer? Whatever your life stage – from student to senior – and whatever your financial goals, we have an account for you.